When we sat down with Lenovo way back during MWC 2015 earlier in the year, they managed to pique our attention when they teased to us an early prototype of this phablet-esque device they were developing. Despite it being non-functional, the chassis alone got us intrigued because of its premium construction and svelte footprint. 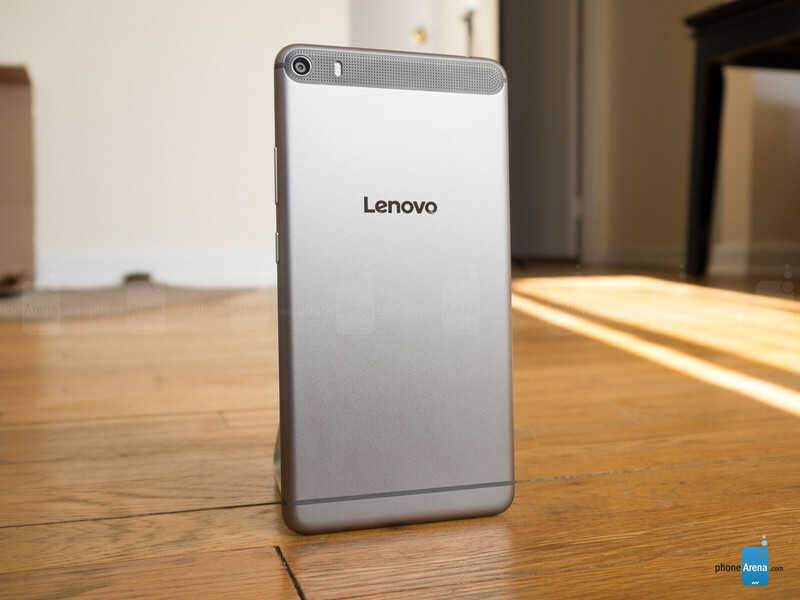 That prototype, nevertheless, turned out to be the Lenovo PHAB Plus – a 6.8-inch phablet monster that’s priced inexpensively. Now that it’s here in the flesh, can it still deliver the same level of intrigue? You’d think it’s an iPhone 6 Plus clone based on its uncanny resemblance. Using it as a daily driver, its size is what draws the most attention when we’re using it deliberately or inconspicuously in public. It certainly doesn’t have any issue commanding attention, primarily because of its sturdy metal chassis, skinny profile, and relatively substantial build quality. For a phone with a 6.8-inch screen, Lenovo does reasonably to trim off as much of the fat as they can – though, it’s still wide in the hand. Another thing worth pointing out is just its uncanny resemblance to the iPhone 6 Plus. From the two screws flanking the microUSB port, to the positioning of the antenna bands on the back, and just the overall resemblance of the phone, there’s no denying it’s almost a clone! Regardless of that, it’s just incredible how much attention it’s able to stir up with its design. Undoubtedly, it’s the kind of thing that’s always a conversation starter when you’re with a group of friends and decide to whip it out. Looking around the PHAB Plus, the power and volume controls are placed on the right edge of the phone, offering good feedback when they’re pressed. Their positioning is standard, but we feel it might have been smarter if Lenovo moved them a bit lower down the edge, making it easier to reach them on such a large phone. The 3.5mm headphone jack is positioned on the top left corner, while the microUSB port and microphone are found on the bottom. As for the speaker, it occupies a good chunk of space along the top section of the back. The punchy color tones of the display make it striking, but it’s the vast size that normally accrues more of the attention. 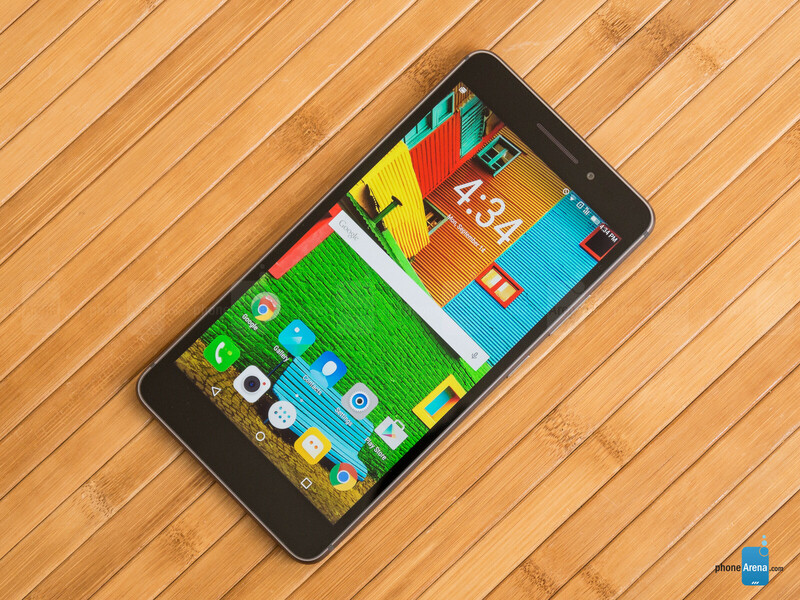 In true phablet fashion, the Lenovo PHAB Plus draws a lot of attention for its 6.8-inch 1080 x 1920 IPS-LCD display. While its 324 ppi pixel density isn’t ground breaking, it’s more than enough to comfortably visualize sharp details on the screen from a normal distance. Without question, though, its vast size lends its usefulness for multimedia consumption. Visually speaking, our eyes fancy the punchy colors it produces; it just has that polarizing glow to catch our attention. And even though it doesn’t necessarily hit all the target values in the sRGB color spectrum chart, its color reproduction is well within the threshold of making it perceived as accurate. Its ~7200K color temperature gives the panel a slight cold tone, but it's not such a big deviation from the standard. The biggest challenge for the display is its weak peak luminance of 255 nits, which makes it unusable outdoors. 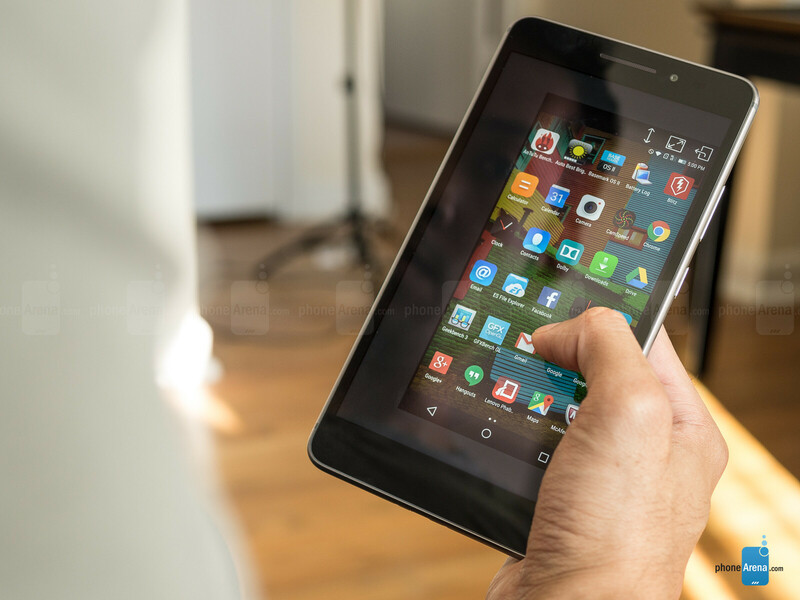 Quickly glancing on the specs, there’s nothing that really jumps out, but at the end of the day, it’s the generous 6.8-inches of real estate that gives it more precedence over the typical phablet. This thing just looks wrong. a 6.8" thing is not even a phablet. It's a tablet proper considering it's huge bezel and how huge it's compared to even Nexus 6. It's a nexus 7 basically. Is is on its bad side these days iPhone release impact i name. And also less than 7.3 is phablet tyrion i even hear they call a 6 inch phablet a tablet but they was idiots anyway. That whole rear camera area looks so similar to Huawei's Nexus, minus the raised up barcode scanner look. Hey dear PA the phones you say that have poor battery performance last longer than iPhone but why there wasn't any mention in iPhone review I'm looking forward for iPhone 6S one and i really wish that there be improvement in reviews they're really poor. If the same thing happen in iPhone's review i say f**k it and never look at another review from PA.
Hey I'm not gone yet and i still be in comments to say s**ts. And Another Device Scores 6 Or Bellow LOL PA Just Bashing Devices Lately........I Love It. IKR The MX5 And OnePlus 2 Got Destroyed. OPO2 deserved it though. That phone is terrible and is a huge step back from the first one. More keen on iPhone 6s review. Should be God gift to mankind. I'm waiting for the Z5/Z5 premium reviews. Hurry PA! So giving device above average score is considered bashing these days? Go back to your biased reviews kid. If you are looking for circle jerks, it's not here. Well They Didn't Bash It As Bad As The OnePlus 2 Or MX5 But Still It Got A Bash Worthy Score. 7.5 Is A Decent Score In My Book Anything Under Means The Phone Is Crap. BTW I'm Not A Kid And I Wouldn't Take Part In A Circle Jerk. 7.5 is decent if your scale is from 5 to 10. In our case, though, it's from 1 to 10, so 7.5 happens to be decidedly above average. I Was Talking About Me Personally Tho. My Scale Is From 1-10. 7.5 Is technically A C+ Which Isn't Very Good. You're on the right track. To be more specific: as we rate phones in their classes, bad ones should have ratings below 5, while average ones should fit somewhere in the range between 4-6. Ray, you mentioned the GPU performance is poor and the CPU was okay for everyday tasks. Did you experience any heating while using the phone? The SD615 is known fot its overheating issues so a little insight about thermal management is highly appreciated. "uncanny resemblance to 6 plus" pa, pass me that thing your smoking. basically everything with antenna lines is a iphone 6 clone from now on. It's too unfair to give this device a 6 based solely on poor camera performance. Tablets are not meant to be used for taking pictures anyway. And why did you list no CDMA support as a CON, when you yourself said that it will not be officially released in the US? For us who live outside of that country and are the official markets, it doesn't matter to us. PhoneArena is on a Hot Streak! Finally exposing the Chinese "Budget Flagship" fallacy (I'm close to calling it a Scam) for all the world to know! Do not excuse the camera performance that's worse than even a Galaxy Note 3 (and that's from 2013.) Do not excuse skimping out on the panel and its abhorrent brightness. Do not cover up for Lenovo not being able to put a 4000+ mAh battery ON A DEVICE OF THIS SIZE. Stop covering for the "affordability" of the latest crop of Chinese phones for unacceptable performance in key metrics - it's 2015, not 2012! There's NO excuse for bad camera performance, lag, lackluster battery longevity, slow updating, stifled innovation and mindless reiteration. 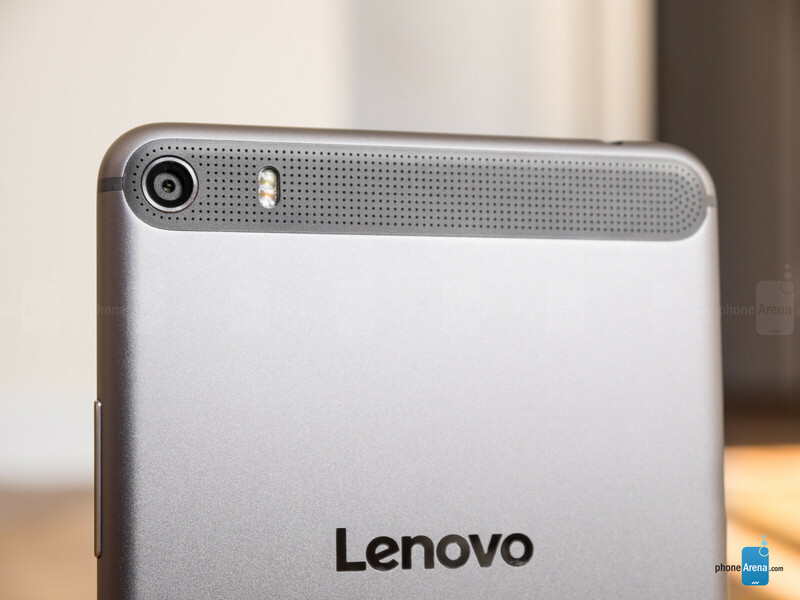 And the kicker is that Lenovo is not even trying with the design of the phone. It's shameful y'all are thinking PA's biased when they're pointing out the TRUTH! When you compare cameras you should take photos on same samples as is the only way of comparison. If I had photos from many cameras I could have a clearly an opinion. 6.8" is the best ratio for mobility for someone that needs big screen. In europe the only option is lenovo phab plus (a midranger) and I just ordered it as is the only 6.8" that supports Band 20 at 800Mhz in Europe at 299Â€. Huawei P8max has almost double price at 650Â€ and is not supporting the band 20. I already own a Zenfone 2 5.5" (witch is far faster) and a sony xperia c5 plus 6" but with so small screens is difficult to do many tasks without getting to my 9" windows based Tablet or Laptop. After 5.5" i need a small bag as it can not fit in my pocket. To size is not a big problem and you get less eye strain with the larger screen. I would prefer to well spent my money on a phab plus with better cpu/ram/battery/camera but that will not happent as it seems for 2016. I hope next year Lenovo to built a better Phab Plus in specs or Huawei a better P10Max model next year (and I would but it with happiness) as this years options are only lenovo phab plus and P8max that is not supporting the important band 20 for europe. I have it in my hands for about 3 days. After 4 firmware updates the camera became very good. Now it's focusing even in the dark and the quality updated 100%. Bravo Lenovo. Phone arena you should change the review of the camera.